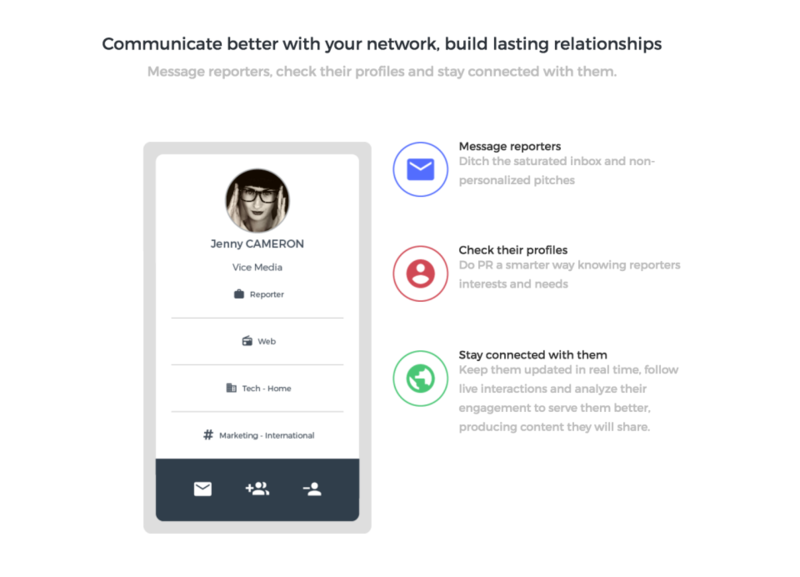 Simplify your relationship with journalists. 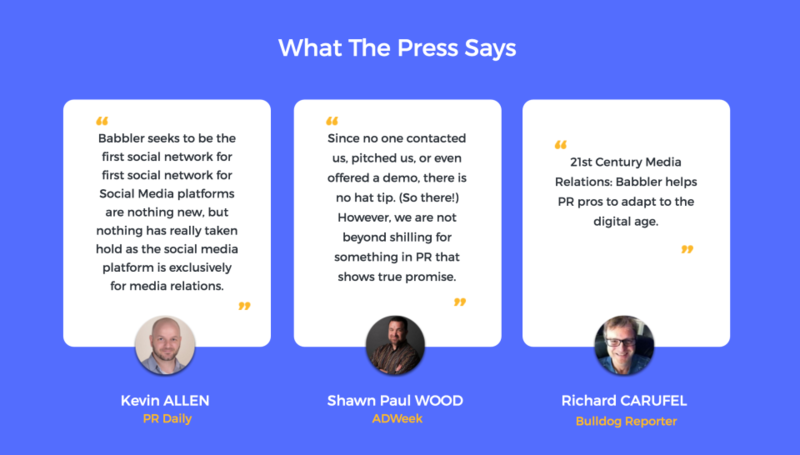 Babbler is a new tool that allows all PR professionals to interact easily with journalists in their sector. Our platform allows you to create, animate and engage your media communities in a single dedicated space! instantly broadcast all your news, images, videos, events, etc. 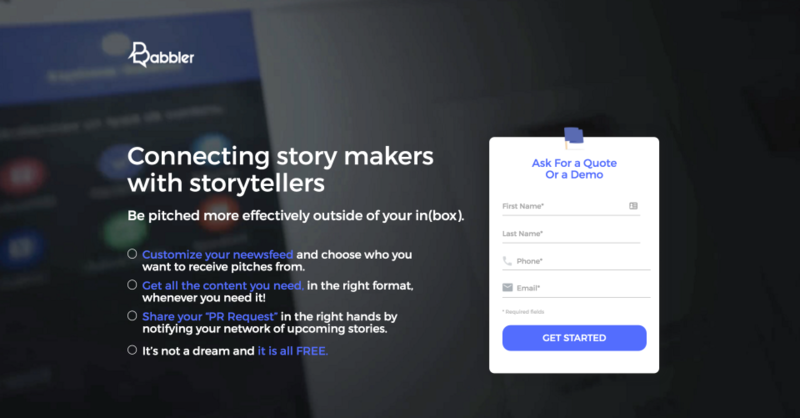 Be notified as soon as a journalist visits or downloads your content.